To say Masinda Masiano is formidable would be an understatement. She packs a punch, both in personality and speech, even if her frame is slight. Masinda is a Pygmy from the village of Mujo Mukondo outside Goma in North Kivu province. She doesn’t know how old she is, but I’d guess at least 60. 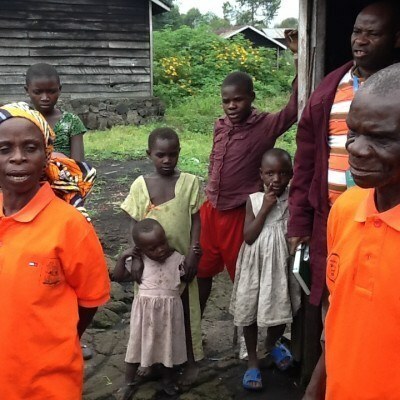 She met us at the village entrance in a bright orange polo shirt emblazoned with the AJWS logo.